The cardamom herb or cumin cardamom is referred to as the Queen of spices. Apart from its aromatic fragrance used for flavouring foods, cardamom uses range from it being a digestive system tonic to an essential oil in aromatherapy. Cardamom clears food cravings and refreshes the palate. It destroys mucous in the stomach. It can alleviate indigestion, gas, morning sickness, and acidity. It assists in the digestion and assimilation. Ancient Egyptians chewed cardamom to whiten their teeth and sweeten their breath. Let’s see some of the amazing health benefits of cardamom for better digestion and health. People who suffer from diabetes generally have low levels of manganese. cardamom is known for containing a high amount of this mineral, which is why people who are worried about their blood sugar levels should consume this spice. It helps to relieve gas and heartburn. Blood pressure can also be regulated by including black cardamom in your diet. Your gastrointestinal tract will be positively impacted by consuming black cardamom. Therefore, the chances of digestive disorders or gastric ulcers happening are less. 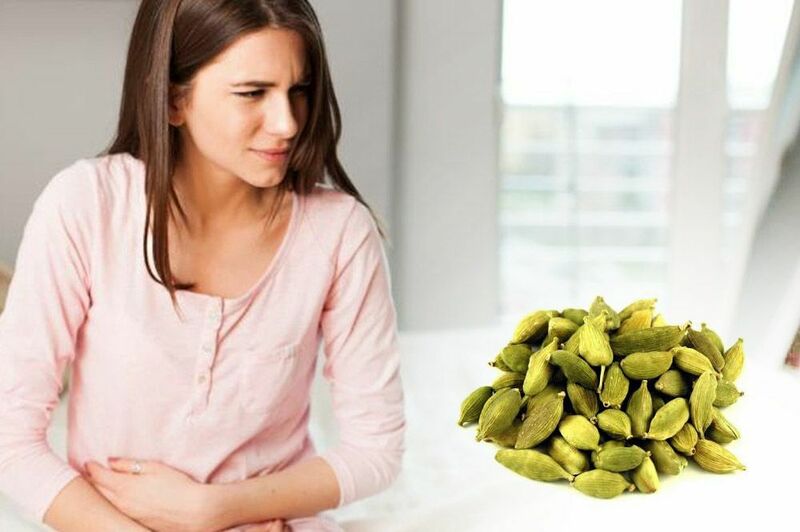 Cardamom is often used to treat stomachaches. this spice has unique properties that will improve your digestive health. this makes sense considering that cardamom is a member of the ginger family, and ginger is known for its digestive benefits. Cardamom is a great spice for you if have problems with your appetite. by stimulation the secretion of digestive juices, this spice can help improve your appetite. Cardamom gives instant relief from a headache. Applying the paste to forehead gives a quick relief. Black cardamom can help fight several dental disorders like gum infection, teeth infection, etc. Cardamom also helps in asthma and whooping-cough. Make a paste by adding cardamom powder and honey. Regular use of this mixture will give you relief from asthma and whooping-cough. Aromatic cardamom acts as breath freshener because of its fragrance. Its aroma has encouraging effects on the nervous system. It gives healthy feelings during the period of weakness.